We Divas think that goodbyes stink! Though bidding farewell to a friend or loved one can be both hard and unhappy, some fun can be found in the form of a gift. But what do you when you’re on a budget or want to add a special touch?! Look no further! 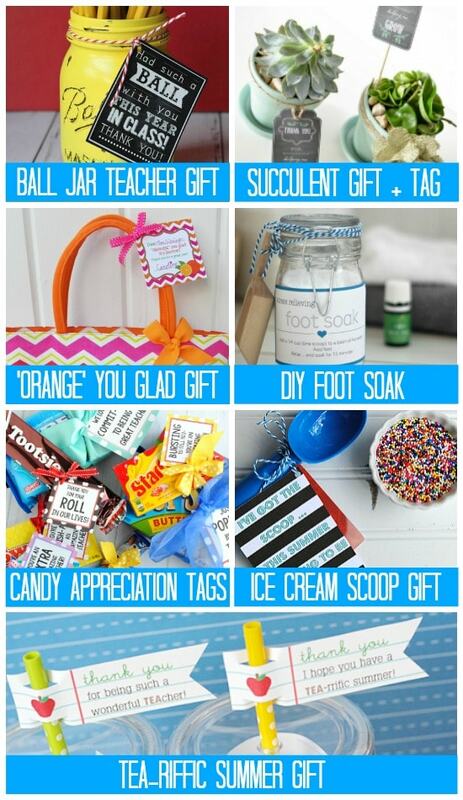 Our list of over one hundred goodbye gift ideas are chock-full of cheap and easy gifts for everyone from teachers to neighbors! 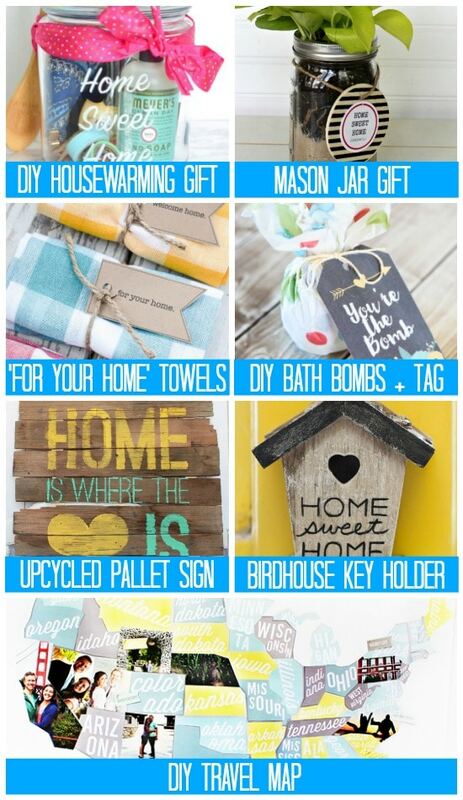 Some DIY, and all affordable, we’re sure you’ll find something that will make parting ways a whole lot better! Ready to get gifting? Here we go! Be they your cubicle or clump-mate, your boss or your subordinate, you’ve spent a lot of time with these folks. 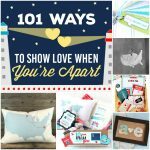 Show them how much you’ll miss them with these unique and on-theme gifts! 1. DIY Desk Organizer (Sugar and Cloth) – Feeling a little DIY-ish? Give this chic and easy organizer a go! 2. DIY Confetti Mousepad (Whit Speaks) – Trimmed with gold and totally fun, your coworker will remember you fondly as they use this personalized gift! 3. Party In A Box (Bright Bold Design) – Take this birthday in a box idea and tweak it until it’s the perfect excuse for a going-away office partayyy! 4. Glitter Dipped Mug (Adorned Life) – Mugs are crucial to office existence so this glitter-dipped version makes for the perfect parting gift! 5. 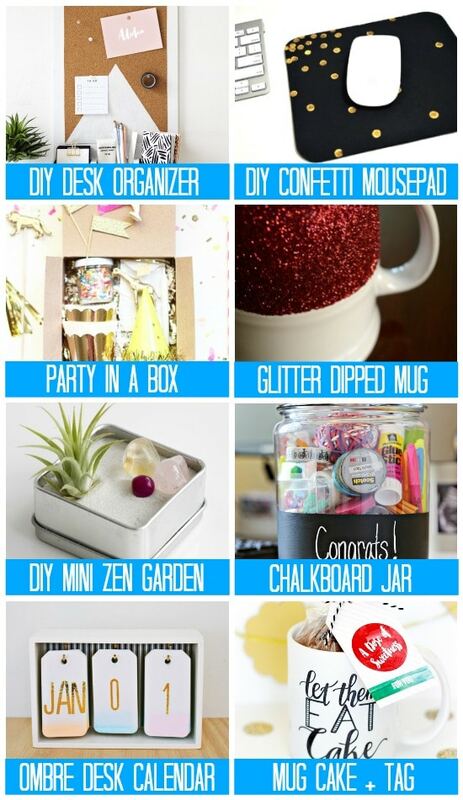 DIY Mini Zen Garden (Ruffled Blog) – Is he/she moving to a fast-paced new career? This mini zen garden will make for the PERFECT desk accessory. 6. Chalkboard Jar (See Vanessa Craft) – Give a big ol’ ‘Congrats!’ and a healthy dose of office supplies with this fun and creative chalkboard jar. 7. Ombre Desk Calendar (Annabode for Homemade By Carmona) – So chic and on fleek, we’ve so got our eye on this DIY desk calendar. 8. Mug Cake + Tag (Strawberry Mommycakes for Capturing Joy With Kristen Duke) – Give them a little coffee/tea inspo (along with a well-deserved treat) and say adieu in style! 9. Painted Photo Bottle (Eighteen25) – Let the whole office get in on this DIY gift and get ready for the ooo’s and ahh’s! 10. Mint Boss Lady Mug (Sweet Water Decor) – An exclusive design from Sweet Water Decor, we can’t help but be googoo over this ‘boss lady’ mug! 11. 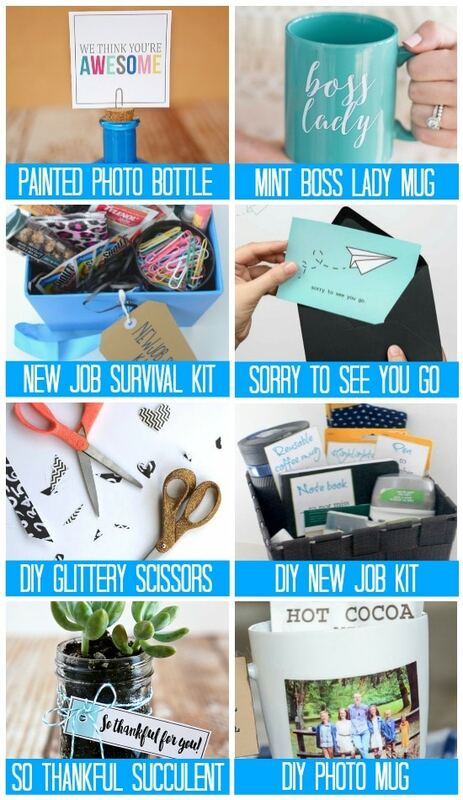 New Job Survival Kit (Adorned Life) – Send them out the office door with style – and a whole lotta goodies! 12. Sorry to See You Go (Free Printables Online) – Haven’t got time to throw together a gift? 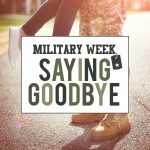 Print out this free farewell card and you’re on your way! 13. Glittery Scissors + Printable (Persia Lou) – Great for a boss who’s been more like a mentor, this glitter-dipped office supply comes with a fabulous note of appreciation. 14. DIY New Job Kit (To & Fro) – Packed to the brim with everything they’ll need for their new venture, this is one kit that won’t let you down! 15. So Thankful Succulent (Eighteen25) – Give them a little greenery to brighten up their new workspace along with a tag that declares your thanks! 16. 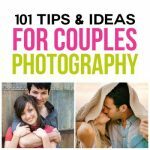 DIY Photo Mug (Simply Kierste) – An office photo makes for the perfect addition to this DIY photo mug. You won’t be forgotten anytime soon! Give the educators in your life a little love and appreciation as you bid farewell to them and a fabulous school year! 17. Donut Thank You Tag (Happiness Is Homemade) – Affix this printable tag to everyone’s favorite fried treat and say ‘peace out!’ to the school year in style! 18. Mint to Be a Teacher (The Creative Mom) – Let that educator know just how special they are with this printable tag and minty-fresh goodie. 19. Thanks a Latte Gift (Just Add Confetti) – Simply attach to a Starbucks gift card or other hot-drink holder and that teacher will know that you’ll miss them a latte. You can easily grab some cards here. 20. Gift Card Holders (Tatertots and Jello for Skip To My Lou) – The perfect addition to a last minute gift, these printable gift card holders add a touch of color and charm! 21. What I Like Most Print (Eighteen25) – This elegant gift, especially when framed, will be appreciated for years to come! 22. Thanks a Bunch Gift (Bloom Designs for Lil’ Luna) – A bouquet of pencils and this printable tag make for a fabulous way to say goodbye and thank you. 23. 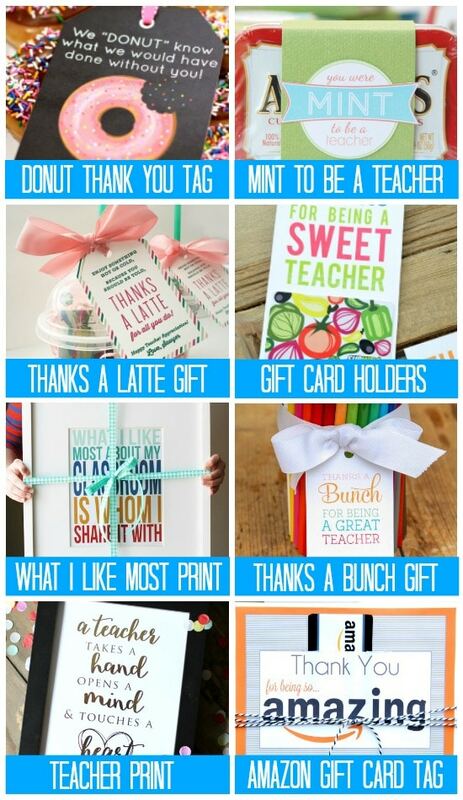 Teacher Appreciation Print (Just Between Friends for Skip To My Lou) – Let this elegant print do the talking and say your goodbyes to the teacher in your life. 24. Amazon Gift Card Tag (The Creative Mom) – An excellent goodbye gift for any online shopper, this Amazon-themed gift card holder will be absolutely adored! 25. Gift Card Holder (Blooming Homestead for Lil Luna) – Is your teacher a fan of color and gift cards? You need this! 26. You Hit The Mark! 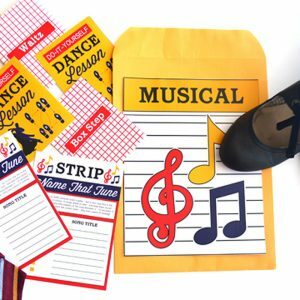 (Simply Kierste) – Let your child’s teacher know what a great job they did with this one-of-a-kind printable gift card holder! 27. Mason Jar Gift (Somewhat Simple) – We love anything that comes in a mason jar and your teacher will too! 28. Cone Gift Card Holder (Skip To My Lou) – Send off your teacher will a cool summer treat with this ice cream themed gift card holder. 29. Smart Cookie Tag (Make Bake Celebrate) – The end of the school year just wouldn’t be complete without a little sweet treat and this smart cookie gift tag. 30. 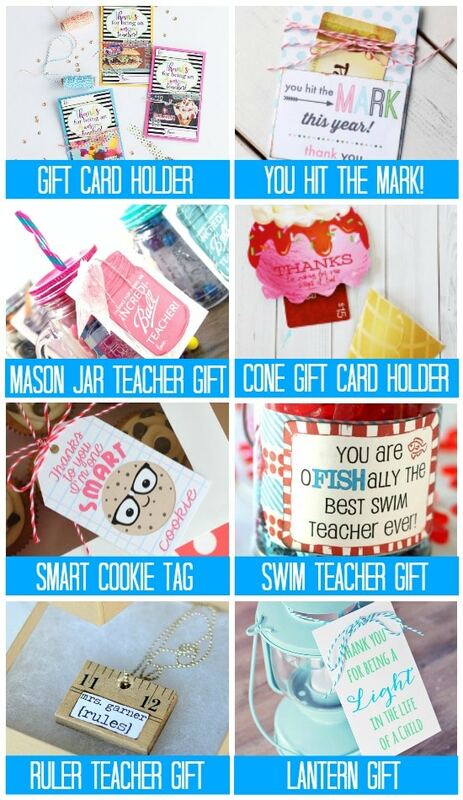 Swim Teacher Gift (Lil’ Luna) – Schoolteachers aren’t the only ones who deserve our thanks! Say goodbye to your swim teacher/coach with this clever gift that is sure to make a splash! 31. Ruler Necklace (Simply Kierste) – Tell you teacher how much they measured up with this unique DIY jewelry piece they can wear again and again! 32. Lantern Gift (The Crafting Chicks) – Give a glowing goodbye with this lantern gift idea that will make that teacher shine! 33. “Tote” – ally Awesome Gift (The Crafted Sparrow) – A sweet summer tote and an on-theme tag is all that’s needed to say goodbye with style. 34. You Totally Rule (Love The Day) – A fabulous pun makes for one great goodbye gift that will never be forgotten. 35. Mani Thanks (Just Add Confetti) – Give them a gift that will sure come in ‘handy!’ There are lots of colors to choose from. 36. Thank You Herb Gift (A Night Owl Blog) – Tell them how important their ‘thyme’ was to you with this DIY herb gift! 37. Fun In the Sun Gift (Skip To My Lou) – Send them off into summer, well-stocked and ready, with this fun in the sun kit that’s sure to be a hit! 38. 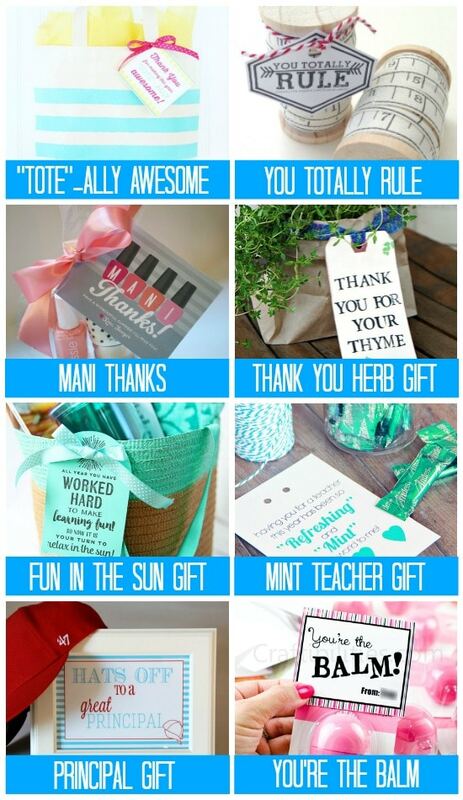 Mint Teacher Gift (The Crafting Chicks) – A refreshing goodbye gift they really get to enjoy, this is one teacher gift that was ‘mint’ to be! 39. 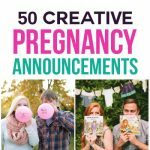 Principal Gift (The Creative Mom) – Give a heartfelt goodbye to your principal as well with this unique gift they’re sure to love! 40. You’re The Balm (Craftibilities) – Pick up some lip balm and print out this tag for a quick and easy gift that’s sure to please. 41. Ball Jar Teacher Gift (Lil Luna) – Let that teacher know what a ball your child had with this fun and oh-so-scholastic jar gift idea! 42. Succulent Gift + Tag (Anders Ruff) – Bring a little green to their home or desk with this end of year teacher gift that will keep living on. 43. “Orange” You Glad Gift (That Party Chick) – ‘Orange’ you going to be sorry if you don’t gift this to the teacher in your life? 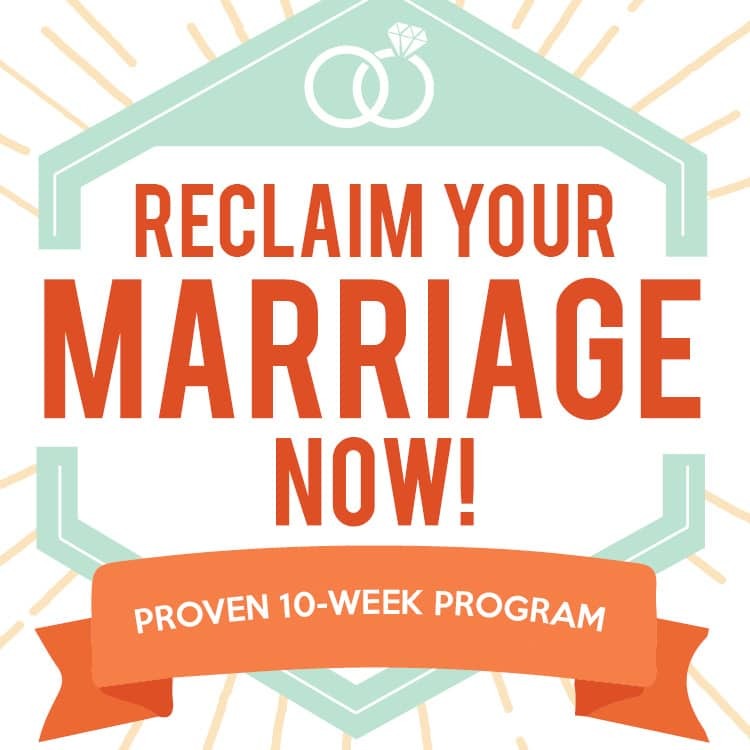 We say, yes! 44. Stress Relieving Foot Soak (View From The Fridge) – At the end of a long, hard year, give the teachers what they really want. 45. Candy Appreciation Tags (Crazy Little Projects) – Ready to be affixed to your candy of choice, these appreciation tags make for truly great goodbye gifts! 46. Ice Cream Scoop Gift (Shaken Together for A Night Owl Blog) – Let them in on the scoop with this darling ice cream gift set – just in time for summer and just what they want! 47. Tea-riffic Summer Gift (Lisa Storms) – The tea-loving teacher in your life will be all sorts of excited by this easy gift! These folks often become as close as family, so it sure is hard to see them go! Make their transition a little easier with these one-of-a-kind gifts, guaranteed to brighten their move. 48. Indoor S’mores Kit (My Baking Addiction) – Give those neighbors something to do in their new home that’s as fun as it is tasty! You can even throw in this indoor s’more maker. 49. Easy Arm Knit Blanket (The DIY Mommy) – Wanting a homemade gift but not feeling too crafty? Give this easy knit blanket a go and gift them a housewarming gift just filled with warm memories. 50. Hand Lettered Pot (Printable Crush) – The perfect touch to a brand new stove or kitchen window, this personalized pot makes for a great goodbye gift! 51. Thanks a Bunch (Simply Kierste) – Short on time but not on love? Affix this tag to a bouquet of posies and you are well on your way! 52. Poo-Pourri Gift + Tag (Capturing Joy With Kristen Duke) – Turn traditional goodbye gifts on their head with this witty and whimsical treat that is sure to be put to good use! 53. Letter Writing Kit (Katie the Scrapbook Lady) – Make sure those friends keep in touch with this darling ready to use letter kit. 54. 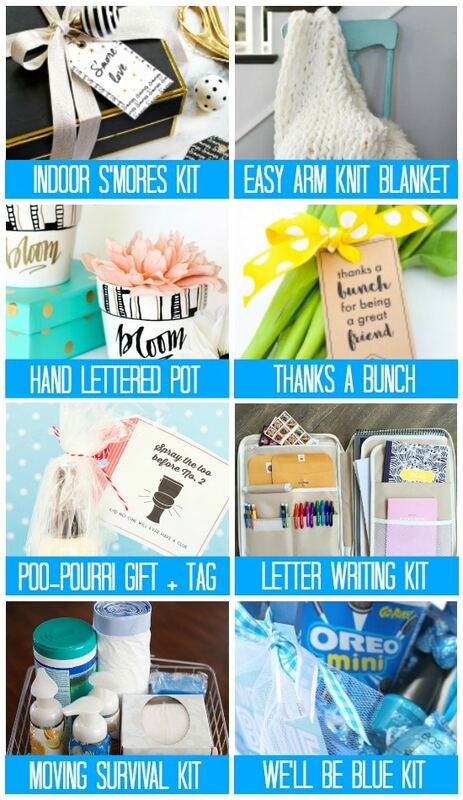 Moving Survival Kit (Joyfully Mad) – Packed with cleaning supplies and a whole lotta love, this is one goodbye gift that is sure to be appreciated. 55. We’ll Be Blue Kit (Let’s Get Together) – Filled with all things blue (and a sweet tag too!) this goodbye gift will give them all the feels. 56. Mini Instagram Magnets (Busy Being Jennifer) – Got some photo memories of those good times together? Transform them into something to use in their new home and you’ll be remembered forever! 57. Accordion Photo Book (Happy Go Lucky) – With a little DIY and a touch of charm, this accordion photo book will remind them again and again of your love for them! 58. Bloom Print (Simply Kierste) – Got a pal who’s nervous about the move ahead! Gift them this motivational print and remind them to shine! 59. 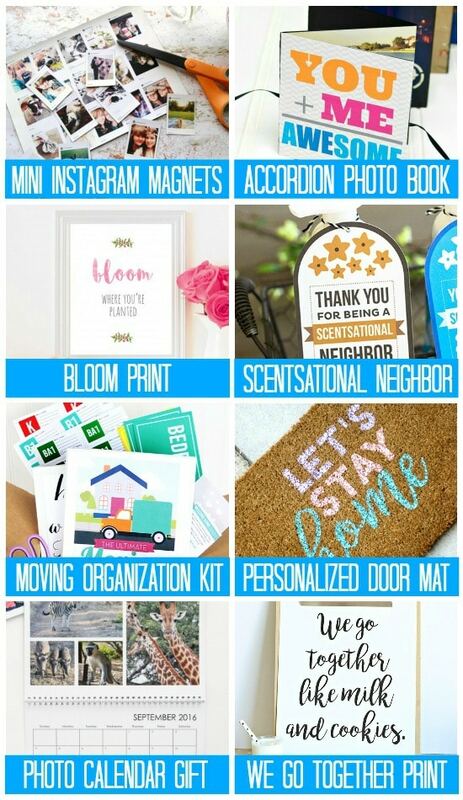 Scentsational Neighbor (Printable Crush) – Tell them what a terrific neighbor they’ve been with this quick and easy goodbye gift! 60. Moving Organization Kit (The Dating Divas) – Packed with everything they’ll need for a successful move, this is one goodbye gift you don’t want to pass up! 61. Personalized Door Mat (DIY Candy) – Send your goodbyes and greetings at the same time, with this personalized door mat that’s as fun to make as it is to give! 62. 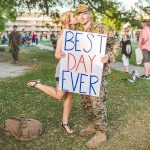 Photo Calendar Gift (The Polka Dot Chair) – Put those friendship photos to good use with this photo calendar gift that gives them twelve months of smiles. 63. We Go Together Print (See Vanessa Craft) – Give your bestie something to remember you by with this sweet and simple print! 64. DIY Housewarming Gift (The DIY Playbook) – Packed with everything they’ll need to get settled in their new home, this DIY housewarming jar is a great way to bid them adieu! 65. Mason Jar Gift (Juggling Act Mama) – A bit of a green and a ‘home sweet home’ tag is a quick and classy goodbye gift they’re sure to love! 66. ‘For Your Home’ Towels (Simply Kierste) – These ‘For Your Home’ towels are simply sweet and a great way to say goodbye! 67. DIY Bath Bombs + Tag (Capturingse Joy With Kristen Duke) – Give them the gift of relaxation with these DIY bath bombs and printable gift tag! 68. Upcycled Pallet Sign (Lolly Jane) – The perfect display for their new home, this upcycled pallet sign is both fun to make and to give. 69. DIY Birdhouse Key Holder (Tried & True for DIY Candy) – Add a touch of charm and cheer to your friend’s new dwelling with this positively darling DIY birdhouse key holder. 70. DIY Travel Map (The Dating Divas) – The perfect goodbye gift for cross-country move, this printable travel map makes for an excellent piece of wall art! They’ve made the grade and passed the test and now they’re off to one of the greatest adventures of their lives! Give those college-bound students a little goodbye lovin’ and show them how proud you are! 71. Colorful Pen Pal Kit (Crafting in the Rain) – Remind them to write home as often as possible with this cute and colorful pen pal kit! 73. Money Balloons (Sugar And Charm) – Perfect for a day when they’re short on cash, this fun and festive goodbye gift is sure to be appreciated! 74. Gold Sharpie Mug (Pinegate Road) – Perfect for late night cocoa (we mean study) sessions, this personalized mug will be put to great use! 75. Do Great Things Pen (Sweet Water Decor) – A fantastic reminder (and writing utensil too! ), these adorable pens are both sweet and affordable. 76. Hand Lettered Plaque (Walnut Hollow Crafts) – A constant reminder of the good that’s inside them, this is a goodbye gift that will keep on giving. 77. Sunshine Pillow Cover (Paint Me Pink for Society6) – Send them off with both comfort and love with this cheery pillow cover. 78. For Rainy Days (This Little Street) – A necessary covering, and a little extra cash, combine to make this gift the perfect one for those rainy days that are bound to come. 79. DIY Message Board (Always Rooney) – Give this DIY a go and make the first message say one of farewell! 80. Dry Erase Frame (i Heart Naptime) – Perfect for those collegiate reminders, this DIY frame will show all your love. 81. Washi Tape Clothespins (The Pin Junkie) – Great for the new-laundry-doer, these darling clothespins will be put to great use! 82. Graduation Gifts Kit (The Dating Divas) – Packed with everything you’ll need for a successful grad gift, this done-for-you gifts kit is both inexpensive and AWESOME. 83. ‘A Little Note’ Jar (The Chic Site) – Filled with sweet slips of both wisdom and fun, this heartwarming gift shows that goodbyes aren’t forever. 84. College Cleaning Kit (The Polka Dot Chair) – Send them on their way stocked up and ready to tackle those dorm-cleaning chores! 85. 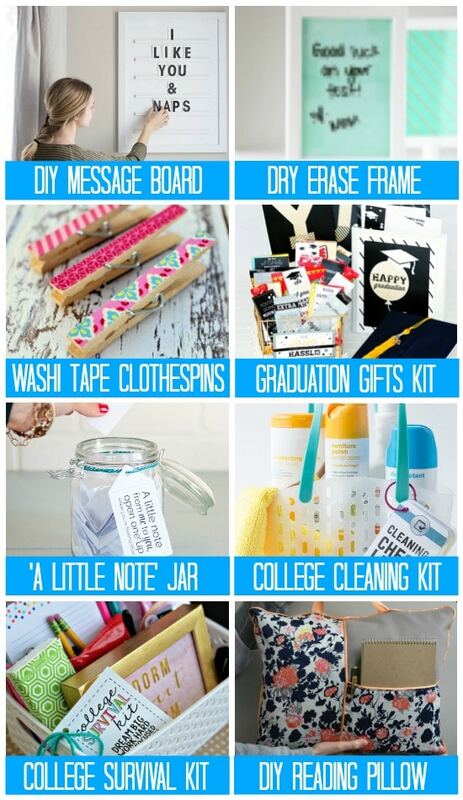 College Survival Kit (Thirty Handmade Days) – A practically done-for-you gift idea, this college survival kit is sure to be loved! 86. DIY Reading Pillow (Mood Fabrics) – The perfect gift for those long study sessions, this DIY pillow is great for both snoozes and studies. 87. Personalized Pot (DIY Candy) – For the dorm room in need of a little something green, this personalized goodbye gift is absolutely perfect! 88. Your Future Card (No Biggie) – Remind them of how much excitement the future holds with this printable (and did we mention, free?!) card. 90. Congrats Money Holder (Thirty Handmade Days) – Send them on their way with some congratulations and a little spending money! 91. Grad Cap Gift Box (Simply Designing) – We’re absolutely obsessed with how darling these are and your grad will be too! 92. 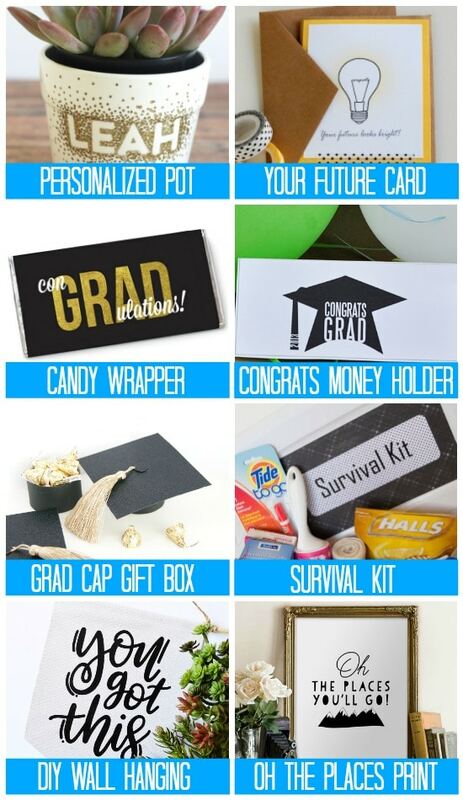 Survival Kit (Designed Decor) – Filled to the brim with all sorts of necessities, this is the perfect goodbye gift for that grad in your life. You can find their favorite travel-sized goods here. 93. DIY Wall Hanging (Minted Strawberry for DIY Candy) – No-sew and full of inspo, this DIY hanging displays an important message. 94. Oh The Places Print (MyLoveNoteDesigns for Eighteen25) – So full of motivation (and so chic too! ), this printable wall art says goodbye and good luck like none other. 95. 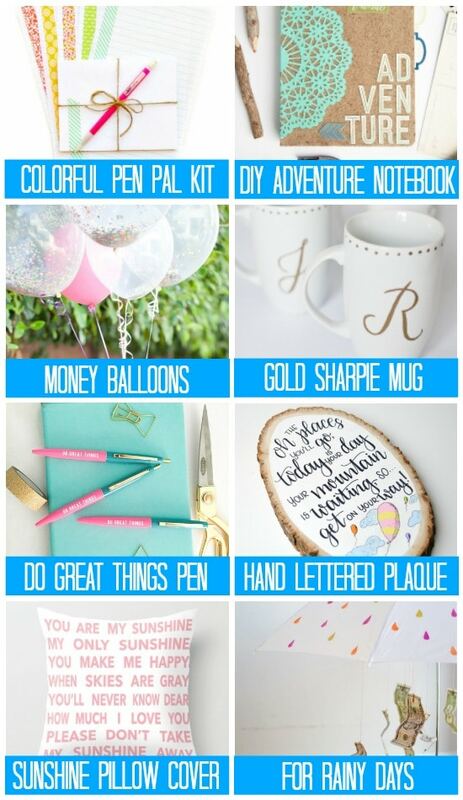 Ghandi Quote Globe (No Biggie) – Both functional and fun, this motivation DIY gift is oh-so collegiate. 96. Painted Canvas Quote (Oh So Very Pretty) – Saying goodbye has never been so fun with this painted canvas quote! 97. DIY Laundry Bag (Design Love Fest) – We’re so in love with this simple and sweet laundry bag, we want to make one ourselves! 98. DIY Heart State Painting (Welcome to Heardmont) – Say goodbye and remind them of home with this DIY state painting that will give them all the feels. 99. 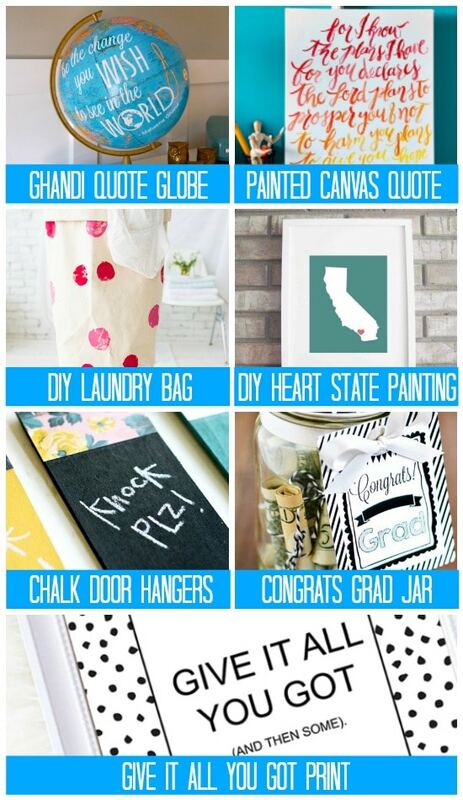 Chalk Door Hangers (DIY Candy) – Fully customizable, and oh-so-fun, these chalk door hangers are the perfect dorm room touch. 100. Congrats Grad Jar (Crafts Unleashed) – Fill it with goodness and say your goodbyes with this grad jar that’s sure to be a smash! 101. 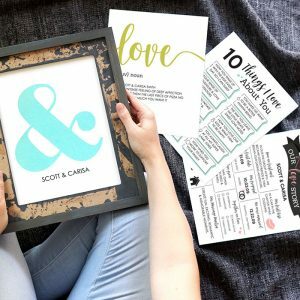 Give It All You Got Print (Your Marketing BFF) – Remind your loved one to give it all they’ve got with this printable art. 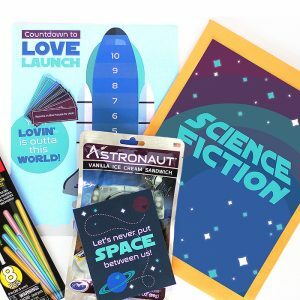 Before we bid you adieu, be sure to check out our list of 101 Teacher Gift Ideas and our 101 Quick & Easy Birthday Gift Ideas! Happy Gifting! Ok I am TERRIBLE at goodbyes… I seriously need this!! Who knew this list needed to be created!? It is seriously awesome, and I so many of these are so cute and so heartfelt! Saving for later for sure! Thanks, Ferren! I couldn’t believe it myself! 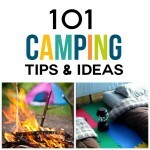 SO many great ideas that are ridiculously cute and easy! 😀 Xoxo!